iPad owners have a reason to smile, iPad owners who paint now have a reason to use their canvas less and their iPad more often. Painters will love the new Sensu Brush, an innovative creation that feels like you are actually painting. Developing a brush that feels no different than a real one hasn’t been easy. According to the designers of the Sensu Brush, Artist Hardware, the company has gathered info from some of the best brush makers in the world. 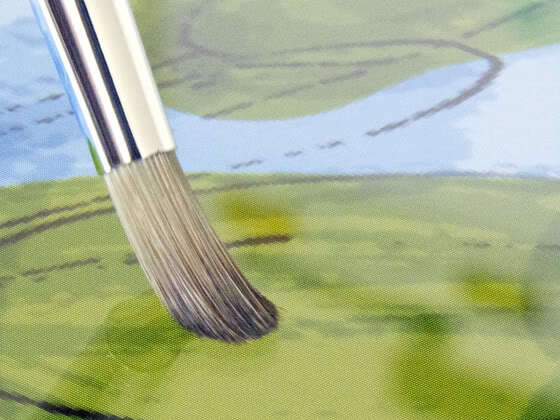 Building brushes that yield perfectly to different paint mediums and various surfaces resulted from their research. The process of designing an actual paint brush that can mimic real painting when used on the iPad started with a little help from the Far East. ‘An old brush-making friend in Japan introduced us to a brand new hair technology being developed for the cosmetic industry. Traditional synthetic brush hair was being infused with conductive properties to help fine powder release from make-up brushes as they came in contact with skin. This synthetic hair could be made in the diameters and tapers we required for Sensu to feel just right’, explains Artist Hardware. 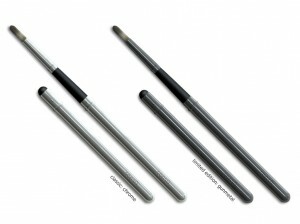 Not only a brush, the Sensu is also a stylus, a true two in one device. Artist Hardware, the brain behind the brush, launched their idea on kickstarters.com which is a website where money can be pledged towards a project of your liking. The Sensu Brush has done well with pledges and the project will be funded October 21st. Getting your hands on the Sensu Brush will cost different amounts, all depending on the amount of your pledge. For instance, if you pledge $25, you can get one no sooner than 2012. The more you pledge the better the offer from Artist Hardware, the Sensu Brush is expected to retail between $30-$35. Grand Theft Auto III For iPad, Finally! Pingback: Draw On The IPad Using a Brush!